Official preview images for the Arrow episode "The Thanatos Guild"
The CW has released official preview images for the next new episode of Arrow which airs on March 29! It’s called “The Thanatos Guild” and the pictures feature Stephen Amell, Emily Bett Rickards, David Ramsey, Willa Holland, and Colton Haynes. Sadly, no Nyssa yet… but on the bright side… no NTA! 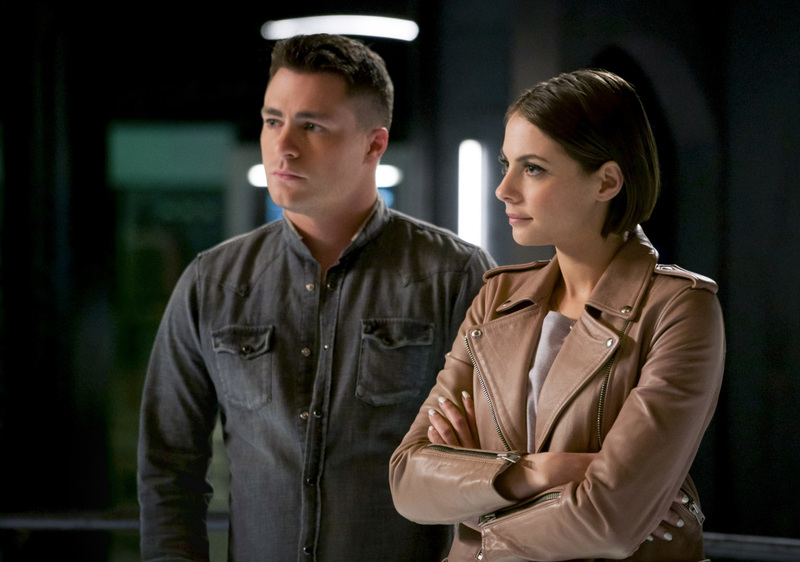 Arrow -- "The Thanatos Guild" -- Image Number: AR616a_0107.jpg -- Pictured (L-R): Colton Haynes as Roy Harper and Willa Holland as Thea Queen/Speedy-- Photo: Shane Harvey/The CW -- ÃÂ© 2018 The CW Network, LLC. All rights reserved.